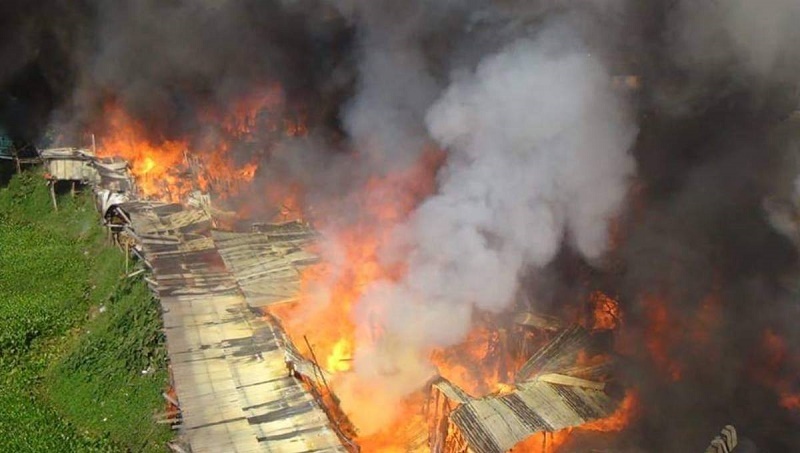 At least 50 houses were gutted in a fire that broke out at Reserve Bazar Mosque Colony in Rangamati district town on Sunday morning, UNB reports. The fire broke out in the area around 8:30 am from a gas stove in a house and engulfed the adjoining houses, according to local Fire Service and Civil Defence control room. On information, three fire-fighting units from Rangamati, Kaukhali and Kaptai fire stations rushed in and brought the fire under control after 2 hours of frantic effort. Meanwhile, Rangamati Deputy Commissioner A K M Mamunur Rashid visited the spot.